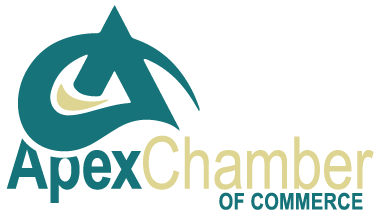 We are excited that you are considering joining the Apex Chamber of Commerce. According to a recent survey, businesses who are members of their local chamber of commerce are 63% more likely to do business with a chamber member than a non-member. 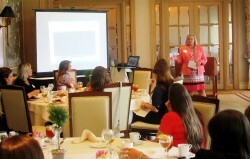 Additionally, businesses who are members of their local chamber understand the value of corporate citizenship. Consumers, as well as other businesses that is an important attribute. The Apex Chamber of Commerce is not only an investment in your business but also your local community! Low cost sponsorship opportunities available through monthly Business After Hours, Annual Dinner, Golf Tournament, Professional Women's Networking, AM Networking and many more. Membership with the Apex Chamber provides the opportunity to have a collective voice in local, state and national affairs. Our Government Affairs Committee meets monthly and discusses issues affecting our members and the business community.